The world is online. Shopping, meetings, reading, you name it and it is found online. Then why should you not reap the benefits of this connected world to know about the best and buy health insurance online? 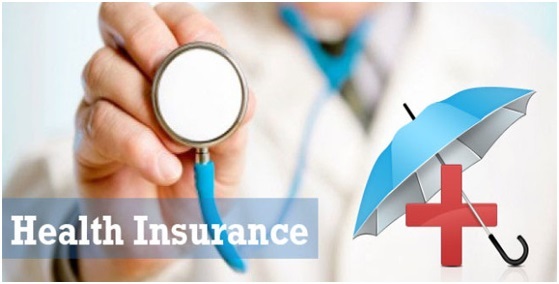 There are multiple websites which will tell you about which health insurance plan will suit you and which health insurance company to rely upon and the best insurance company in India, and it is not a yearlong research. Health Insurance is a serious topic but you don’t have to wait till you are seriously ill to start planning for one. There are so many health insurance companies in India, so many health insurance policies which makes choosing the best fit a task. Still, it is a job you must take upon to ensure the optimum security for you and your family. Besides exempting you from the hefty GST slab, a right health insurance also helps manage the medical expenses on your behalf. And the premiums are comparatively cheaper. A lot of companies have their employees insured but that is valid only till you are working in that company. It's always smart to have backup plans. Choose a plan with maximum cover amount. With the constant inflation, expenses can go beyond the sky so you need to see if the plan covers majority of the medical treatments. The sum of the policy should be planned keeping in mind the age and marital status. As you grow old, your lifestyle changes and due to the weakening of the body defenses, chances of age-related diseases increase. Also, if you are married, you must keep in mind your spouse’s health and illness history. It's wise to go for the family floater plan if you are a family person as it will cover your entire family. The premiums are slightly lesser and the return is higher than individual plans. Opt for a plan which has the least waiting period for pre-existing illness. Here pre-existing is in terms of you having any health condition before you have brought the health insurance. A maximum age-renewal plan is always a winner. Choose a plan which lets you renew your insurance even when you are 70 years old. Trust higher claim settlement ratios of the health insurance company as they will not reject your claims unless they have a valid reason. Be transparent when buying the insurance. Read all the fine prints and attach all the required documents. Insurance companies with network hospital facilities are a win. They are convenient and being partners of the insurance company, they will be hassle-free. This also comes handy when you are buying a health insurance policy for your parents who live in another city or in the rural. Read the reviews and always compare the premium. There are many websites which will give you the comparison of all the health insurance companies of India in terms of premiums, returns, sub-limits, and the benefits. Reviews too are a good source to know more about the insurer from real people. When you buy a new phone, you automatically buy a screen guard and a phone case with it. Do you plan to break the phone or just know that it will fall and break? No, you do not wish for such a calamity but it's not a crime to be safe. Accidents do happen and that phone is brought with hard earned money. Life is not cheaper than the phone. Buying a insurance policy is not asking for any mishap it is just as the saying goes, prevention is better than cure. The internet makes a lot of our work easy. There are so many websites which does all the research for you and provides you with the best options regarding health insurance plans, so go ahead and find your best fit.